Every stitch has a memory attached to it; its own space in time, intention and frame of reference just like the stroke of a brush on canvas. “Art becomes meaningful because it has the power to express important things that would in all likelihood remain unstated.” (Modern Art, Preface by Sam Hunter/Daniel Wheeler 2004). Hand-Stitching is the perfect tool for bridging the gap between fine and textile Art. Textile Art moves us in a way that connects us to our ancestors to reveal their struggles and triumphs in cloth through generations. 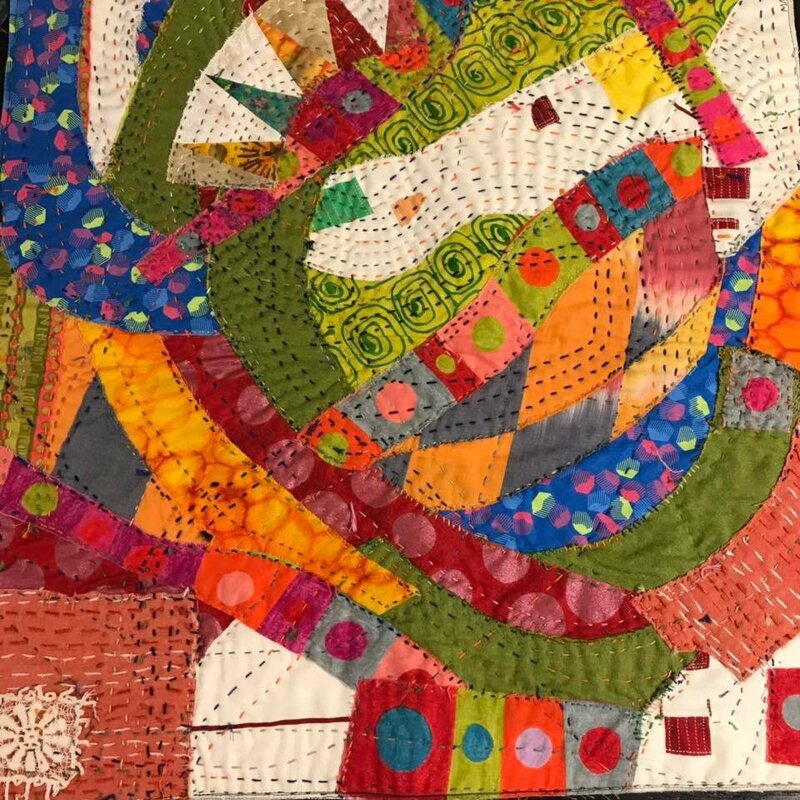 In this workshop we will explore intuitive composition guided by diverse textile substrates and organic geometric forms to create an intricately textured work of Art. You may apply rich layers of straight-line stitches that invoke years of traditions and pays tribute to a surface design form, often viewed as utilitarian (the straight stitch) but no less powerful than brush strokes. My studio is the lab where I learn, adapt and create; the place where new ideas emerge and balance is restored with each accomplishment and failure. I'm naturally curious about the creative process and employing new tools & techniques in order to grow as an artist and teacher. In all workshops I encourage sustainability as a way to build confidence and community, with a back-to-basics approach and consciousness about resource use/waste. I focus on the perfectly imperfect aspects of discovery, experimentation and most importantly, Living a satisfying life through creativity.